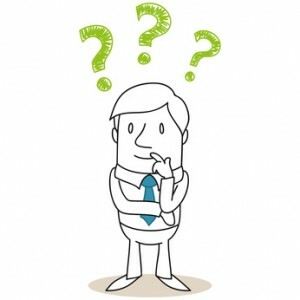 You are here: Home › Blog › Lean Six Sigma › What is Lean Six Sigma › What is Lean Six Sigma ? A lot of managers looking for clear and effective ways to improve their business ask us, “What is Lean Six Sigma ?” For someone who isn’t knowledgeable about management approaches and manufacturing processes, Six Sigma can sound as foreign as something Russian. But for people who are actively looking for good solutions to the usual manufacturing problems, we have one of the best solutions. Essentially, the answer to “What is Lean Six Sigma ?” is that it is way to improve your business efficiency by eliminating waste and variance, improving quality, creating value and spending wisely based on data from customer feedback. It takes Six Sigma further by trying to reduce long-term costs but still produce quality that customers seek. What is Lean Six Sigma is always a loaded question. You have to explain Six Sigma and Lean at the same time. Six Sigma focuses on quality and production while Lean focuses on less waste, faster turnaround and more value. When you put these two together, you come up with a tough system to maintain and control but eventually becomes an excellent standard for your company. 1. The voice of the customer or VOC is very important in any Six Sigma endeavour. Business decisions should primarily be guided by the VOC. 2. When processes are managed properly, they contribute to quality. Slower and more meticulous processes don’t necessarily mean better products. Sometimes they just mean you’re slower at production or haven’t balanced your manufacturing line yet. 3. Lean Six Sigma cuts away anything that doesn’t add value to the product. Value is determined by the stakeholders in the business. Most of the time, the customer dictates the value while the other stakeholders augment the needs and wants with sound engineering and product development. Anything that does not give value is a defect. 4. Teamwork is key to making Lean Six Sigma work. Although the process outcome is rigid, the control should be flexible and adaptive to issues and change. Your Lean Six Sigma team should be trained as Black Belts and be able to focus completely on implementing the management system. We think that continuous training is going to benefit your people. When you turn people into experts, you can rely on them more and have them echo training to their subordinates. It’s like making them brand ambassadors for the initiative you want your staff to undertake. 6. Don’t forget to DMAIC. Always define, measure, analyse, improve and control your processes and metrics. This is going to make sure that Lean Six Sigma has a lasting impact and will stay with the company. One of the worst things that could happen is that everyone goes back to old practices. Make Lean Six Sigma the only practice that there is. DMAIC is important because it can determine early on during the ‘define’ and ‘measure’ phase if the process or part you’re targeting is even worth the change. Sometimes, there are parts of the process that create no value at all, so cut them off. You could also concentrate on other areas first. In the end, asking “What is Lean Six Sigma?” is simple the tip of the iceberg. We recommend you read further on Toyota and its approaches to management such as Gemba Kaizen. Here is also a video explaining what is Lean Management? When and How to Use Your Kaizen Event ?